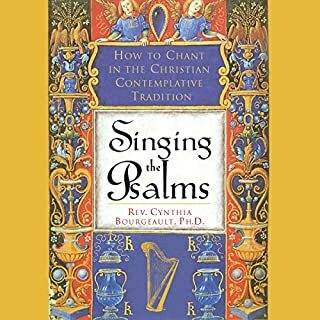 Cynthia Bourgeault's illumination of the centering prayer path provides compelling evidence of how important the practice has become in the half century since it first arose among American Trappist monks and of its maturation and refinement over the ensuing years of sincere study and practice. It will resonate with beginners on the centering prayer path as well as with seasoned practitioners. Cover image: Mark Tomalty / Masterfile. 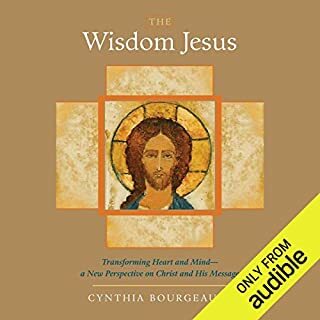 ©2016 Cynthia Bourgeault (P)2017 Audible, Inc. 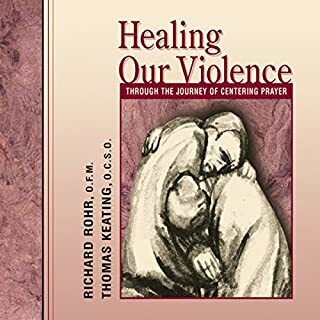 I have read most of the books by Father Thomas Keating on centering prayer and thoroughly enjoyed them. This book has confused me and left me feeling slightly intimidated. Too many big words and over complicated. If I ever hear the word 'nondual' again it will be too soon. Definitely not for beginners. Perhaps when I have been practicing centering prayer for a longer time I may re visit it. It's a shame the author is not the narrator. It would be a lot better, as the author would know where to emphasise certain passages in the book. I read the book and will read it again several times. 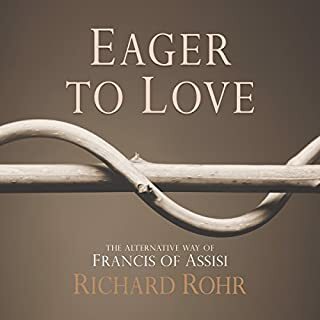 The book is a gem for the contemporary aspiring contemplative. 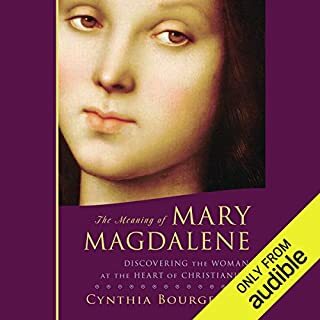 If it weren't for the narration I would give 5/5 for the Audible version. Cynthia’s cutting, loving and authentic sharing on Human awakening in the post symbolic, trans-rational realisation of Heartfulness is truly dazzling and absolutely a message of love, along with the process of why and how that You, are waiting to discover. This is a bold, provocative and challenging study by someone who obviously has genuine experience as well as brilliant insight. 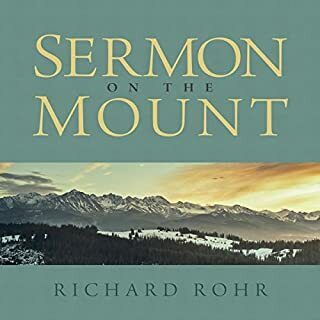 This book is a real gift to the centering prayer movement, which is currently at a critical crossroad. 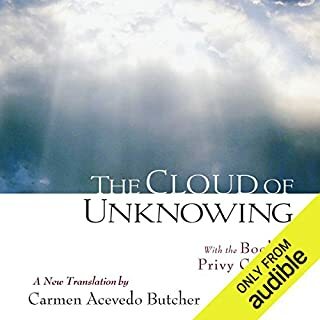 I very much appreciate the author's exploration of the Cloud of Unknowing, which I have struggled with for years. More of that, please. I'd like for her to write a study of the whole book. I was not happy with the reader, whom I found detached from the material, a little smug, and too rushed for this deep material. I regret that Cynthia didn't elect to read it herself. What disappointed you about The Heart of Centering Prayer? The book sounds like someone reading a doctoral thesis in a hurry. The concepts presented are referred to as if they were part of a physics or philosophy lecture, making them dry and uninteresting. 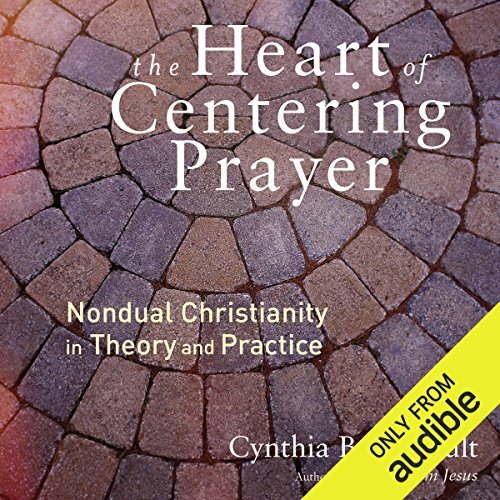 Has The Heart of Centering Prayer turned you off from other books in this genre? No, just turned me off from this author. The narrator should slow down and use inflection at the right location. Even slowing the speed down to .85 it sounds fast. Slowing the speed more than that makes it sound like they're on drugs. 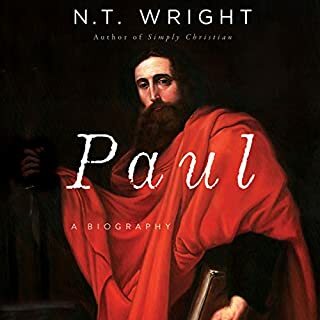 Read Teresa of Avila or Brother Lawrence, throw this book away. Listen to last chapter first. I have gone through this book twice and find that the run-on writing and narrative along with the need for frequent use of a dictionary is not worth the read. I found myself wanting the narrator to take a breath! Her story may be very high minded and sincere but this is written for only a few elite who are already familiar with her terminology. The “cloud of unknowing “ and the works of Father Keating are more useful and more accessible. Come to me all ye who are weary and I will give you rest. 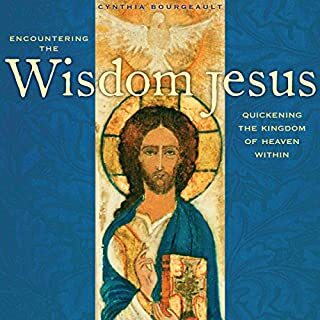 This book made coming to Jesus in quiet contemplation complicated and wearisome. One should slow the dictation down to x.75 speed. The reader is speaking at light speed speech. The depth and breadth of the Christian meditative tradition were presented very well. I now have a much clearer understanding of the Centering Prayer and of the kenotic intention which is its basis. 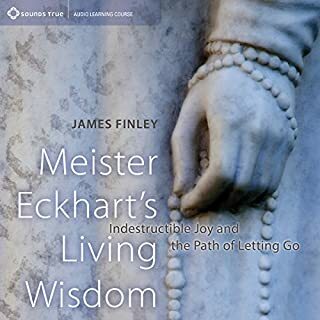 As a three decade Buddhist practitioner who has renewed interest in the depth teachings of Christian Mystics, particularly Meister Eckhart, this book has been very helpful. 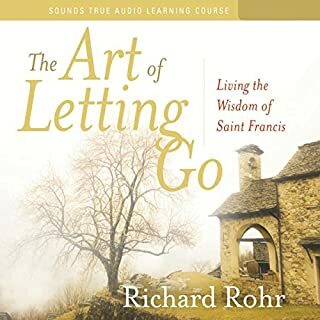 My fear that centering prayer was just a watered down mantra practice without connection to the deeply mystical teachings of Christianity has been put to rest. Cynthia’s teachings on the Cloud of Unknowing and how it informs centering prayer was fascinating. 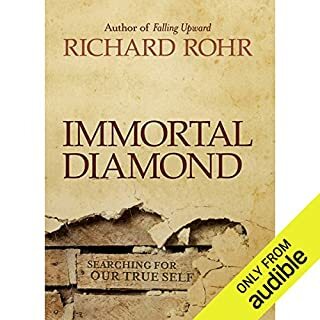 Overall I really enjoyed the book, which I both read on kindle and listened to on audible. My only negative comment was that I found the audible narration slightly off putting. 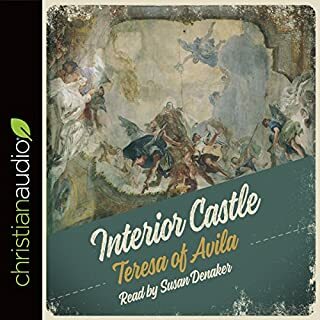 There was a strange two phase or two tone to the narrator’s voice that at times was very nice to listen to and others quite metallic sounding and harsh. Almost like two people were trading off narration, even within a sentence. Hate to complain though as I still very much enjoyed both formats and will reread and re-listen to this book again in the future. 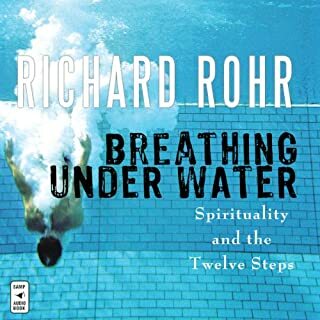 I have been on a spiritual quest for 32 years and this is the best contemplative book I have read. 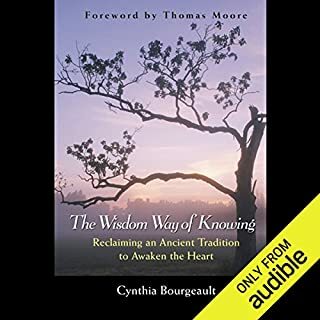 Cynthia Bourgeault has beautifully summarized so many STEs (spiritually transformative experiences) and this has helped me to better ‘see the terrain I have already traveled through’ and it has also given me an overwhelming sense of ‘quenched thirst’ while I long for much more of the same ‘to drink’. The first part of the book is a good introduction to contemplation in the “centering prayer” tradition. 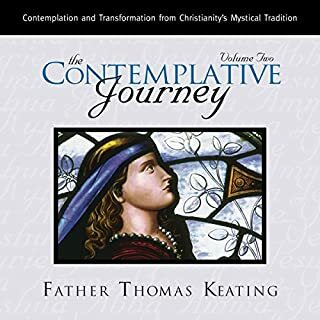 So, this book is both for an introduction to contemplation and also for the advanced, who has been given the divine gift of contemplation many times. 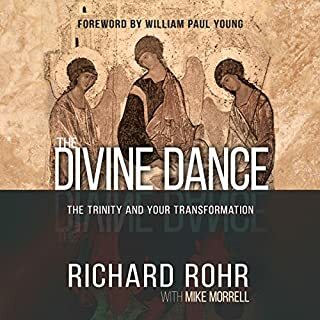 I’ve listened twice to this book and will listen several more times as I follow along in the physical book. Do you want to listen to someone read a very interesting but complex subject too fast for you to keep up, never mind understand it? Then this narrator is for you. She is speed reading and I cannot get to grips with the writers ideas or instruction. However, I find the subject interesting and will just have to keep on pausing and going back. This book is quite difficult for me to understand. Maybe I choose a book that is too advanced for my spiritual progress.